The clouds above are all separate shapes, all of them butted up to each other. 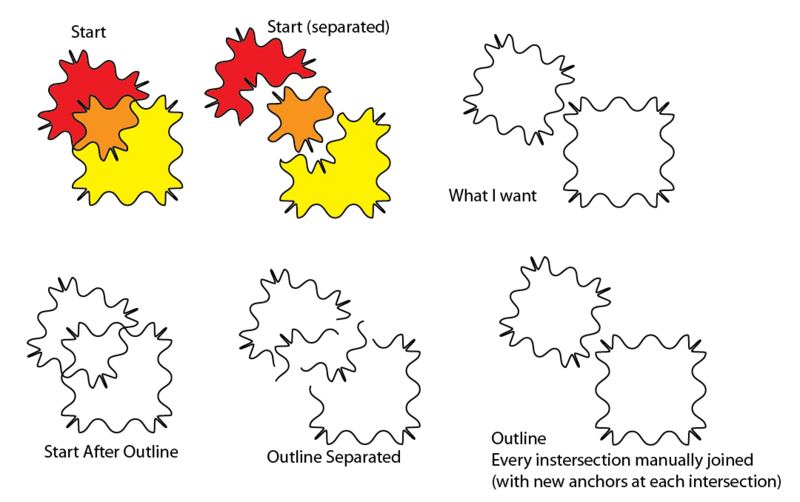 I want to be able to edit the lines - is there a way of deriving the lines from the shapes, so that there are no overlaps? 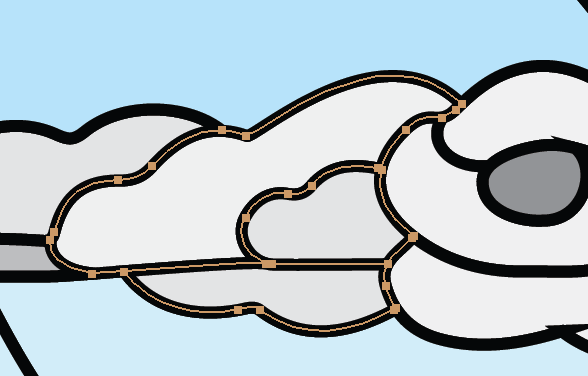 Although Pathfinder / Outline does some of the work, having to manually reconnect all the broken lines is a huge task for the hundreds of shapes that I am working with. I misunderstood, thanks for clarifying. You're going to have to do some reconstruction, which will be a bit tedious but this is the only way I know of to fix your problem that doesn't involve recreating everything (though, that may just be a better option). Click in the center of each of the shapes you want. (Note, this may not work, depends how messed up the paths got - again, you may just want to recreate everything). If this is successful, you can then clone the middle shape (Ctrl+C, Ctrl+F) and select one copy and another shape and merge them (Shape Builder, Pathfinder), and do the same with the second copy. Or if you want to do it a bit quicker... Select one of them and while holding down Shift Click+Drag to select the ones you want. This will unselect the first copy, leaving only one copy selected. A bit hard to explain that, see this GIF which explains it better. Notice how It unselects the originally selected shape when I hold down Shift and Click+Drag to select. Use shape builder to combine the wanted parts. Or do Pathfinder Unite. Duplicate shapes which are needed twice. 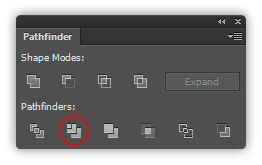 Hide ready shapes in Layers panel to be able to work with ones below them. I think this may be done by using Outline in Pathfinder. The colours will be lost (because the shapes are no longer fills), but the strokes are all now single lines. However, all the lines will now be separate at every junction... So it's not ideal. Use the Trim option in Pathfinder. White Lines (Not Strokes) Appearing between shapes after using Pathfinder tool. How do I get rid of them?